The Parent Service Organization participates in several passive revenue generation programs. Please start collecting Box Tops and send them in with your kids! There are collection boxes in all classrooms and the school office. The PSO sponsors two box tops contests each year. Watch for more information. Each year you can link your Fry’s V.I.P. card to Archway Glendale. You will have to update this each year for Archway Glendale to receive funds. To link your card, log in to frysfrood.com and sign in, select community and then community rewards. Create a new account or click on “enroll now” to link your card. Fill out the information requested. The Archway Glendale ID is 80190. Archway Glendale families and friends can link their Amazon accounts to our school and Archway Glendale will receive a donation from qualified purchases made. Any family member or friend nationwide can participate! To register your account, go to http://smile.amazon.com. On your first visit to the Amazon Smile website, you will be asked which organization you would like to support. 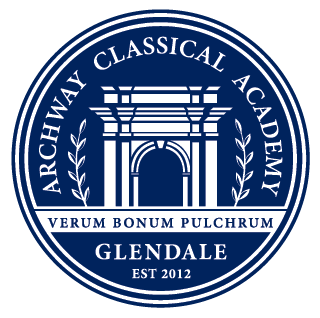 Make sure you select Archway Classical Academy – Glendale. In you have any questions or know of any other fundraisers like the ones listed above, please send an email to PSO@archwayglendale.org.